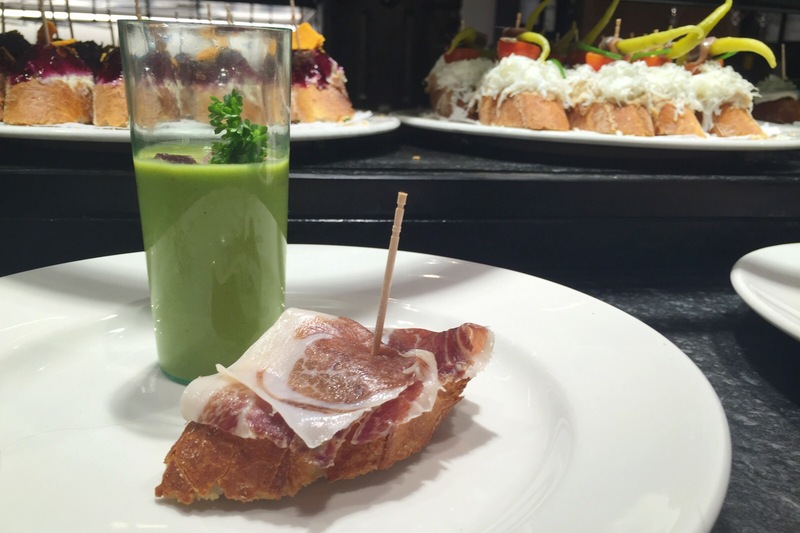 Sagardi is a slightly chaotic place where you choose your own ‘pinchos’ from the bar. The food is all on sticks which cost €1.95 each, with the total being totted up when you’re finished from the number of sticks on your plate. Pinchos probably isn’t the best route if you’re starving – it could soon add up – but it was great for days when we’d had a big lunch or were feeling a bit over-indulged. Everything we tried was really tasty, from a cold pea soup (obviously not on a stick) to hot chorizo on lovely crusty bread. Service is a little brusque and you might have to squeeze in wherever you can get, but it’s certainly a lot of fun. This place is all about the pig. A deli where you can get your jamòn to go, or get a snack at one of the tables inside or out. 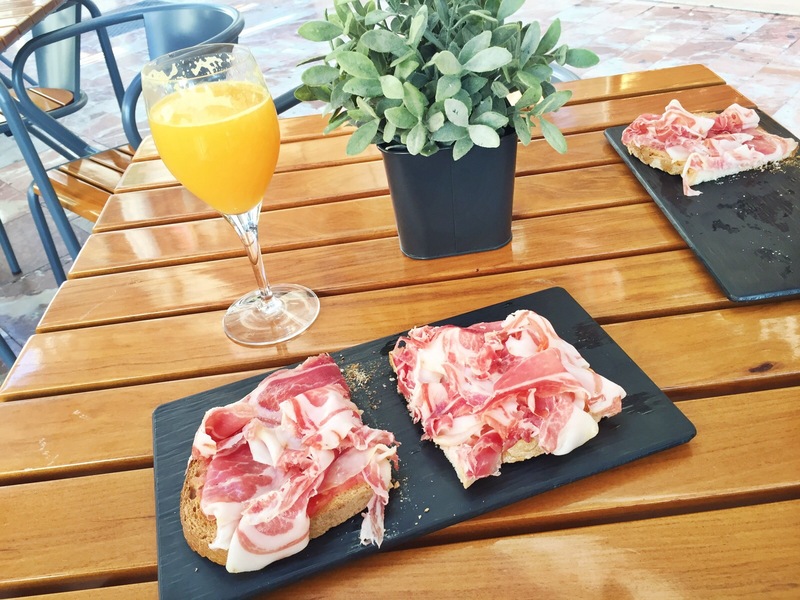 We liked the Desayuno Andaluz of a morning – typical Spanish tomato-rubbed toast topped with jamòn, and a freshly squeezed glass of orange juice. If you do any amount of research into food in Valencia, this place comes up every time. It’s easy to see why it’s a Valencian institution – it’s been serving simple, delicious food for the best part of 200 years. Service is friendly and the place is completely unpretentious – you have to duck under the bar to go to the loo or get into the small restaurant at the rear (otherwise you can perch at a table in the more atmospheric bar area). Be sure to order the seasonal tomatoes – the unusual Valencian variety we were served up (‘ugly but good’ according to a sign I saw in the market) were absolutely delicious. Tinto Fino is a lovely little tapas restaurant close to Valencia’s cathedral. We visited twice and really enjoyed the food. The salads were a nice change from so much rich holiday food (more tomatoes), and the pork in rosemary oil (which comes as a cold cut) was particularly good. Reading this was like a dream, travelling and finding the best places to eat is what we live for! Defo going to bookmark this for future references for our travels. Sounds like you’re having an amazing time, hope to read more! Aw thanks so much, glad you enjoyed it!